After the glorious weather and our new arrival over the weekend, things were pretty quite down on the farm. We have had some lovely trekkers of all ages over the half term week and the weather hasn’t been too unkind to us either, everyone went home happy and muddy! Mr Kang and Mungo, last years babies went on their first trek without each other this week. Although we have been training them together over the last few months the boys seemed to start falling behind and playing up slightly, so we decided to see what they were like on their own going out with the older trekking boys… What an improvement, they both lead beautifully. It was almost like they had suddenly grown up and wanted to impress the more mature trekkers. Very proud of our little boys, soon they will be trekking with customers on and off the farm. Much to the llamas disgust, myself and Mary managed to get everyone wormed this week in between trekking. 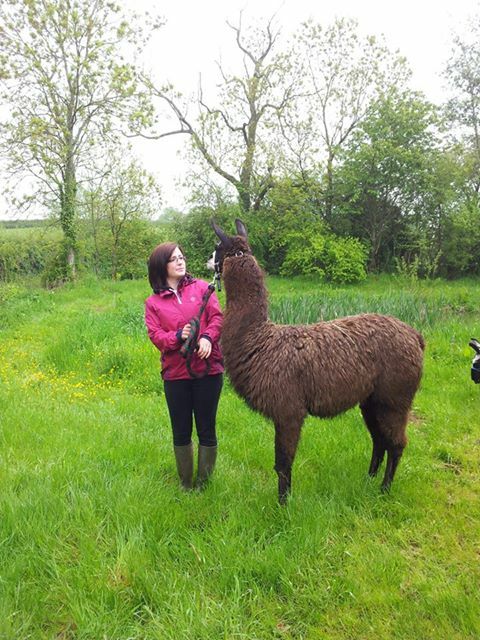 This is a very interesting task as trying to hold onto a fully grown llama that weighs 350lbs is not an easy job! In order to do this safely we use a technique called ear twitching, this is where we hold the llamas by the ears and bring their heads down slightly to prevent stress so we can inject them safely. Having ear twitched the boys with no problems, I thought the bigger llamas had all been done… I was wrong. I was amazed to find that some of the females were just as big, if not bigger than some of the males. My ex pig farming muscles really came in handy today. After all the customers of today had finished their picnics and had all left the farm, we all sat down to a well deserved cuppa. Stupidly thinking we can relax for the evening, I was gathering my things (as I always seem to leave something at the farm) and Mary was just about to get the horses in for the night when we both realised that there were two horses prancing around the car park….. Now on the farm, every gate has an extra latch on it because we do have a sneaky little escape artist here at Catanger. 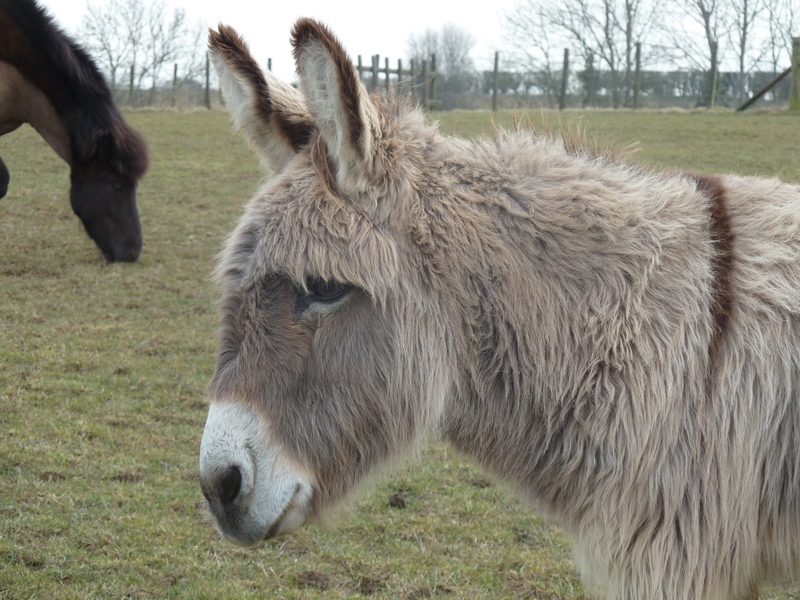 His name is Dasher, Dasher is our one and only Donkey and seems to find it hilarious when he lets all the llamas and horses out every now and again. We have become wise to his little antics and had extra latches put in, but today he seemed to have been able to unscrew the whole extra latch and let the horses out for an evening stroll. Its a good job this little cheeky chap he has such a lovable face. We love him!